Sam Williams, during his tenure as the Lassen County Times Editor, has suppressed the truth about LMUD's corrupt business practices. He continues to do a great injustice to the public. Williams recent 12/20/16 front page article on the Honey Lake Power is a travesty. 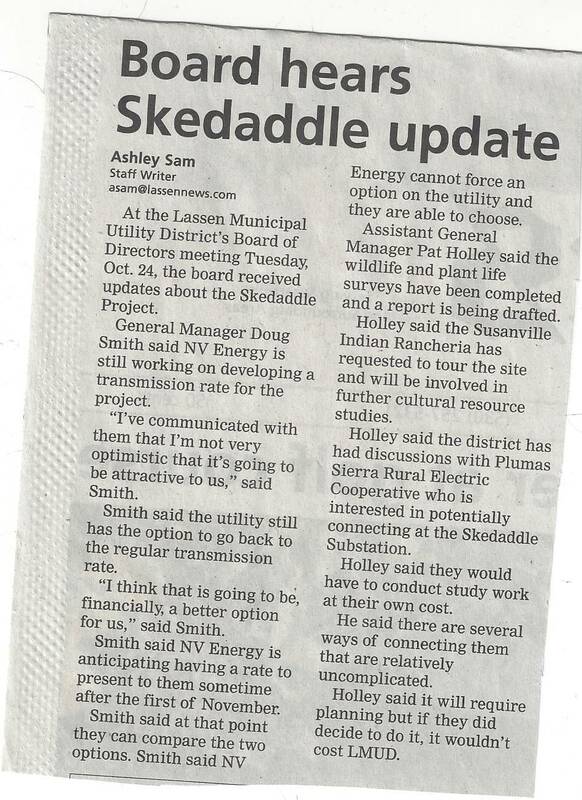 Honey Lake Power is in trouble and LMUD takes advantage of their crisis. 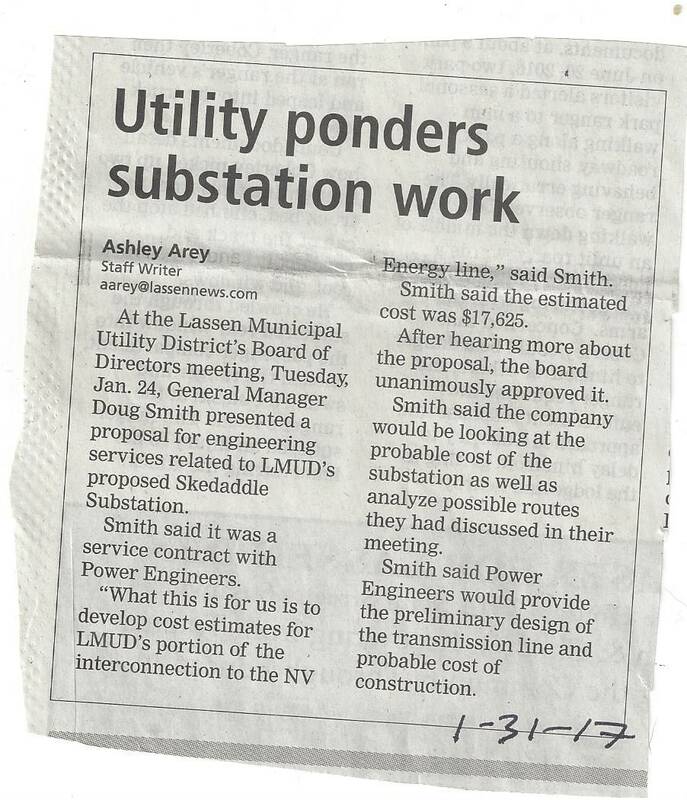 LMUD convinces HLP that a 20 year contract is better than a 30 year contract by offering HLP less money and a promise to dump HLP when LMUD builds a proposed multi-million dollar substation in Wendel for NV Engery. SOUNDS LIKE A GOOD BUSINESS DEAL...............? LMUD has been embroiled in deceit and deceptions since LMUD'S 2001 Arrowrock Hydroelectric scandal to cover up LMUD's $8.7 million dollar loss. 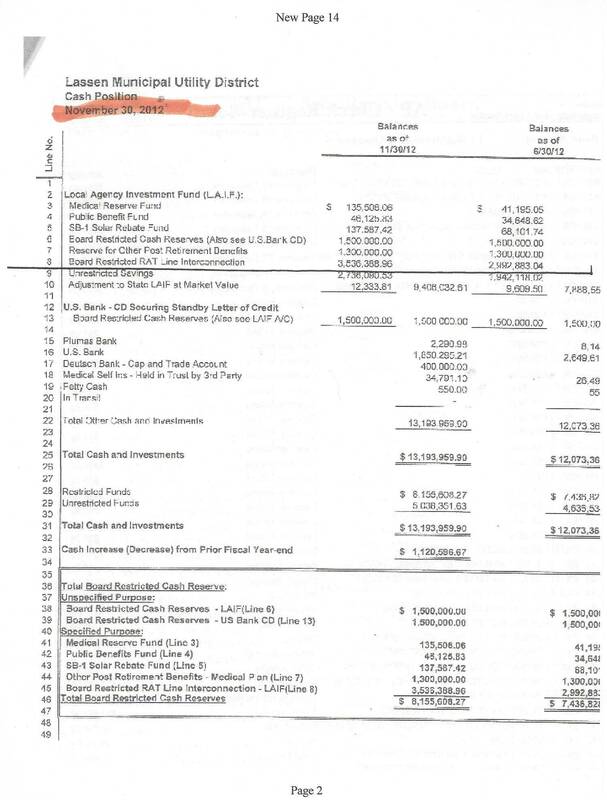 Kan We Help has documented the LMUD Boards lies and corruption since and continues to expose LMUD's bogus projects that have cost millions of ratepayers money. 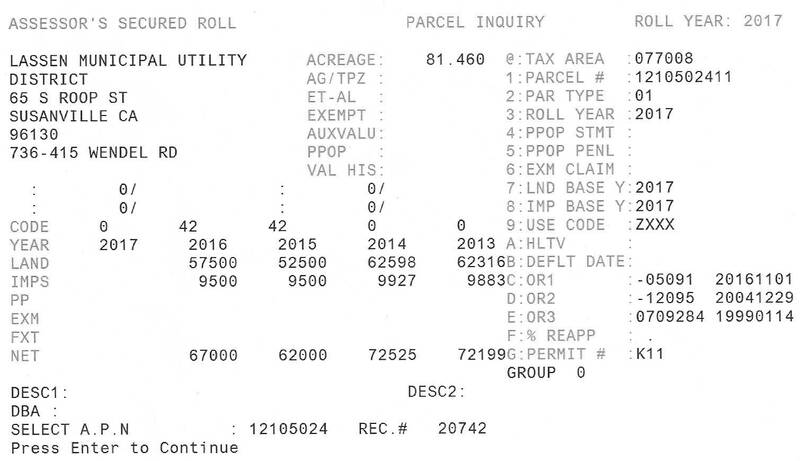 In 2011, Williams knew that LMUD didn't purchase the ATT property (Viewland) and covered it up. 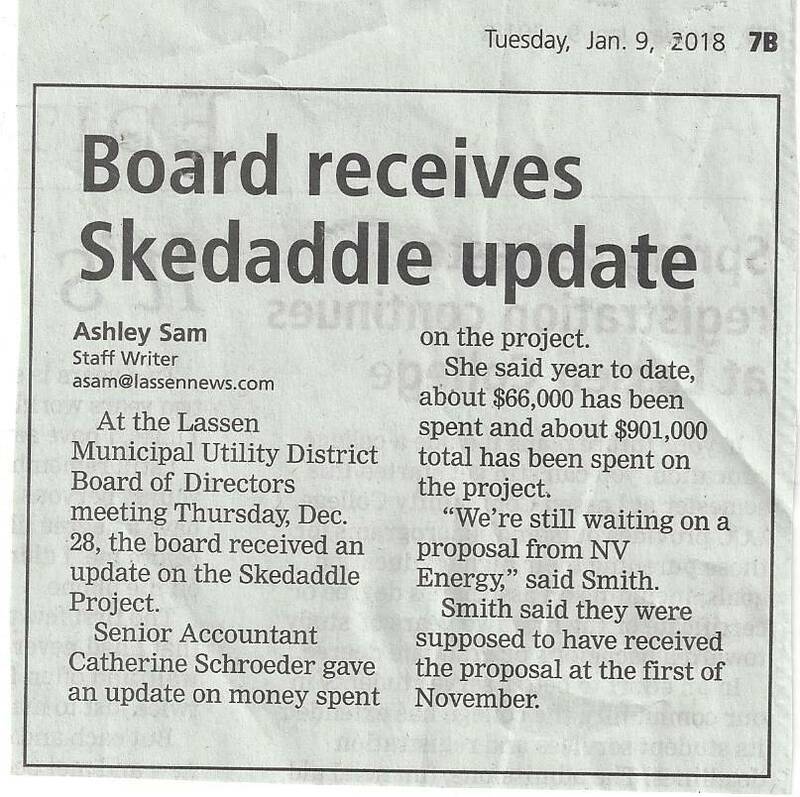 This cover-up goes back to 2007 when Invenergy came to town with a promise to give LMUD $40 million dollars of new infrastructure. 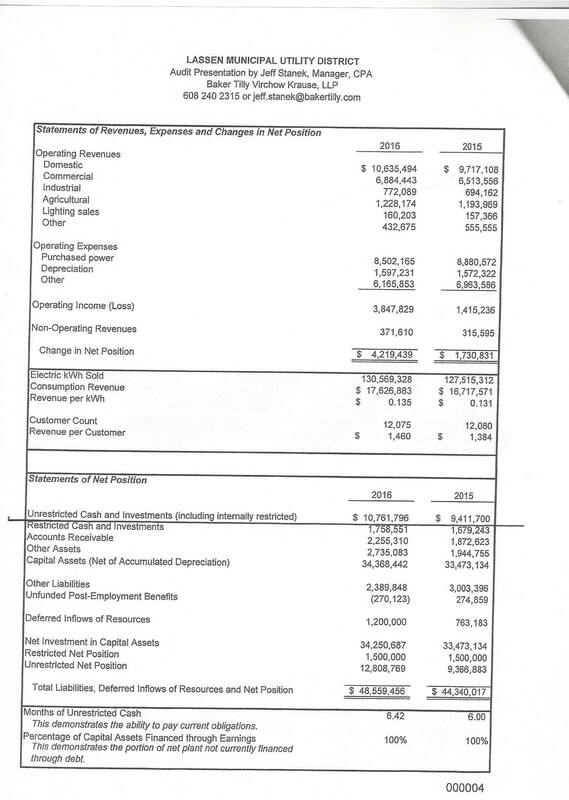 Invenergy convinced the LMUD Board to spend $40,000 for a "System Impact Study" for a 230kv transmission line that was released at the November 26, 2013 LMUD meeting. Kan We Help requested a copy of this alleged study and was denied. 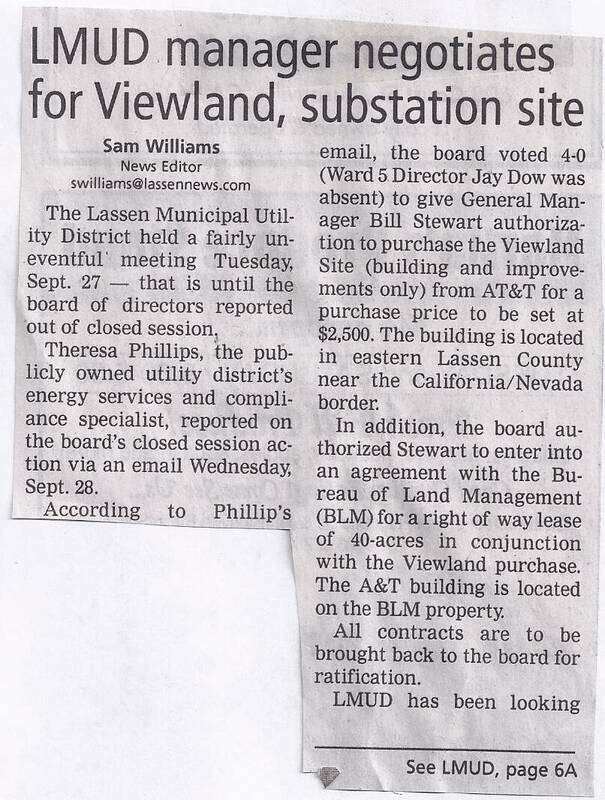 Lassen Municipal Utility District negotiations for the original Viewland Substation [ATT property :APN 109 -010-04] first appeared on an LMUD Agenda on August 28, 2007. LMUD negotiated with Mickey Villella from ATT. The property was contaminated and sat on BLM property. 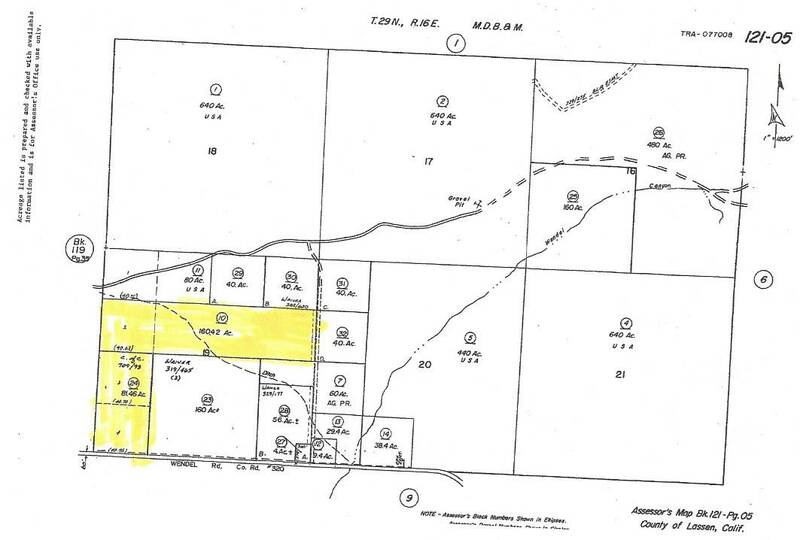 LMUD purchased this land, in September/2011, for $2500 with the intention of building a 230kv substation. There was no interest in the 230kv Line in 2004 when the concept was first marketed and there is no market for it today. 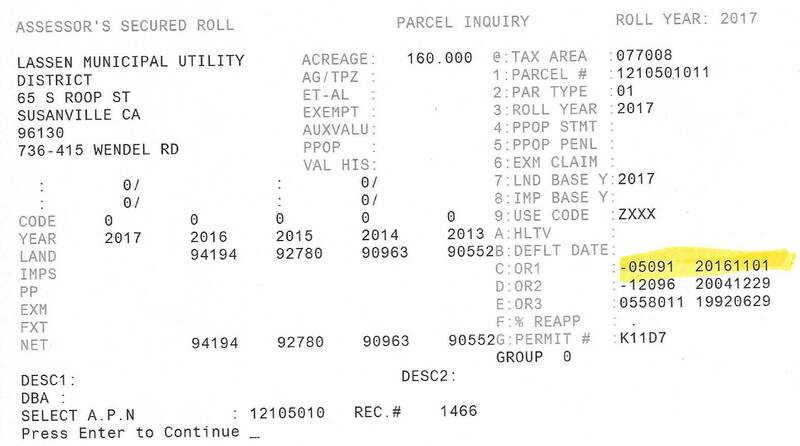 In 2016, LMUD was unsuccessful in buying the BLM 40 acres that surrounded their contaminated ATT property. 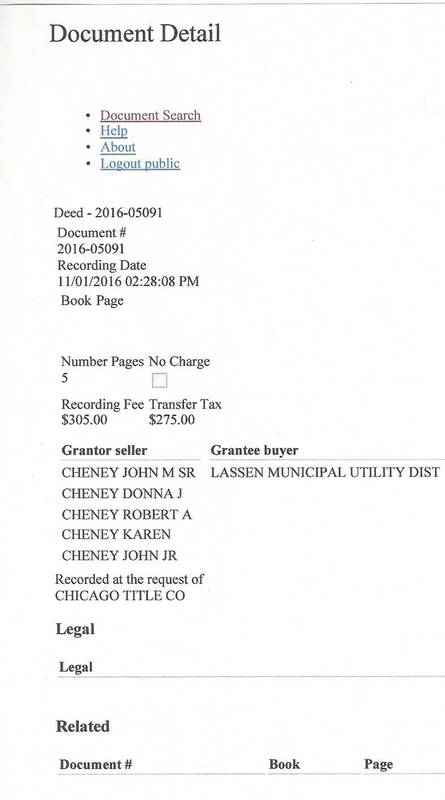 LMUD was not willing to clean the property up and lost interest in developing this substation on March 22, 2016. Talk began on investigating a new site. There were no discussions on developing the original Viewland substation for three months and then suddenly a new 241.88 acre site in Wendel appeared. 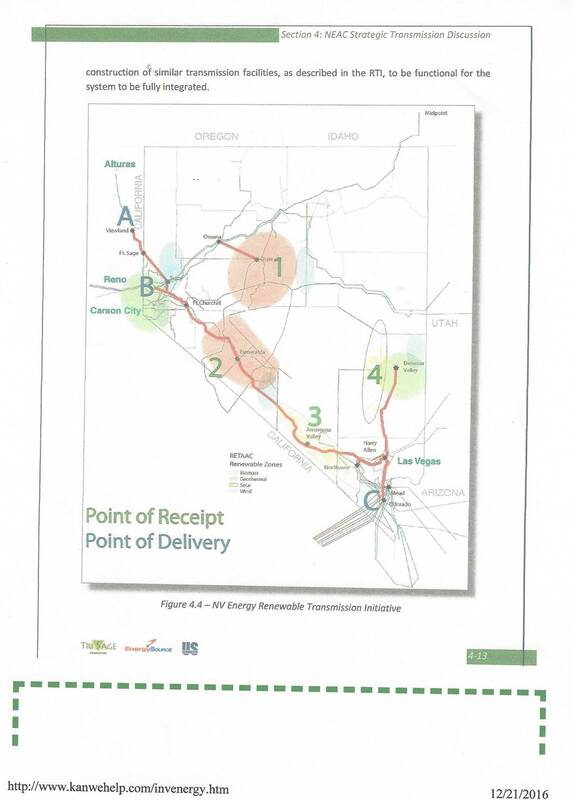 The 230kv project was resurrected as "two" substations to connect to NV Energy.